Go for Gold’s Fundraising and Communications Manager, Karen Rademeyer interviews Lance Joseph. Arranging a meeting with Lance Joseph took some doing as he had a very busy schedule involving long days, often ending after 8pm in the evening. I was lucky to catch him one day when he had some free time and was able to meet me after partaking in an advanced driving class. This very much intrigued and excited me to meet this young daredevil from Ravensmead who had also just obtained his B.Eng Civil Engineering degree through the Go for Gold programme. Upon meeting Lance, I was received by a friendly young man who displayed exemplary manners as he stood up to greet me. As our meeting continued I soon learned that although he partook in an advanced driving course, this young man only took calculated risks that would lead to improving himself personally and professionally. Upon congratulating him on his recently attained qualification on Go for Gold’s phase 3 programme and about to embark on Phase 4, the employment phase, I asked Lance about the aspects of the Go for Gold programme he enjoyed. Lance told me that the initial Go for Gold Phase 1 offerings were most valuable by way of the free Maths and Science tuition and Life Skills training he received in his Grade 11 and 12 years. Although Lance was fortunate to have a supportive family, being the youngest of six children, he stated that many youth from his community survive day to day, have no role models, no direction and have little to no hope for their futures. He said in general that a great number of youth in his community are full of pessimism and scepticism about their lives having favourable outcomes. He said the Go for Gold opportunity changed this for him and he noticed a considerable change in himself through the Life Skills training Go for Gold provided. He shared that the Life Skills training changed his “small mindset” by receiving the training every week, adjusting his mindset became habitual in the end. 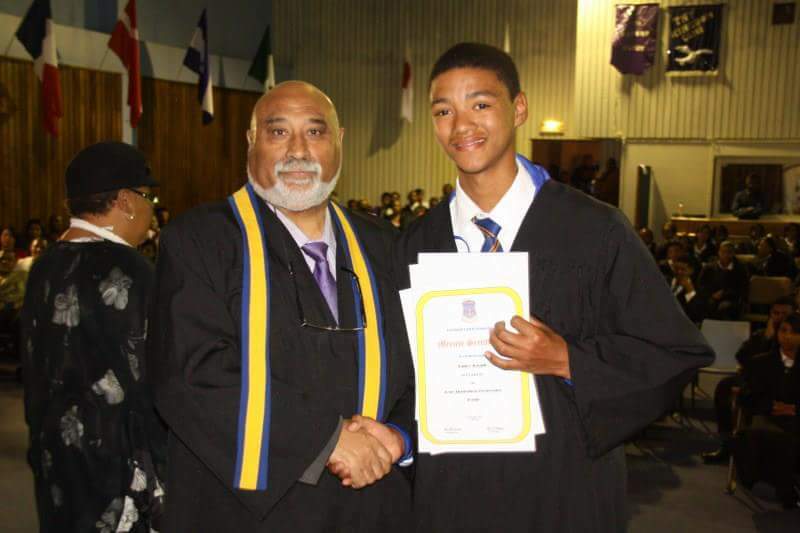 He said it taught him to have more self-awareness, a better attitude, more self-confidence, better logic and wiser decision-making skills, especially applying the Life Skills principles when the workload of the matric year pressed on him. He often found himself motivating his peers who were not on the Go for Gold programme to be more conscientious about themselves and that they needed to empower themselves to make something of their lives. In fact, today he is mentoring Phase 2 students and his niece who is feeling the woes of school pressures to perform, with much success he says. He also shared that the free Go for Gold Maths and Science tuition classes helped him perform better academically, increasing his average of 45% per subject to an impressive 81% for Maths and 72% for Science in his matric final. The Go for Gold free tuition, meals, Life Skills training and exposure to careers in the built environment forged a path for Lance that would not otherwise have been available to him. I asked him about his Phase 2 experiential year working on site. He told me he was placed at Martin and East which he really enjoyed because he received a salary straight out of school and the induction programme Martin and East held included training in First Aid, survey training and mechanical systems, which was the beginning of opening new horizons for him. 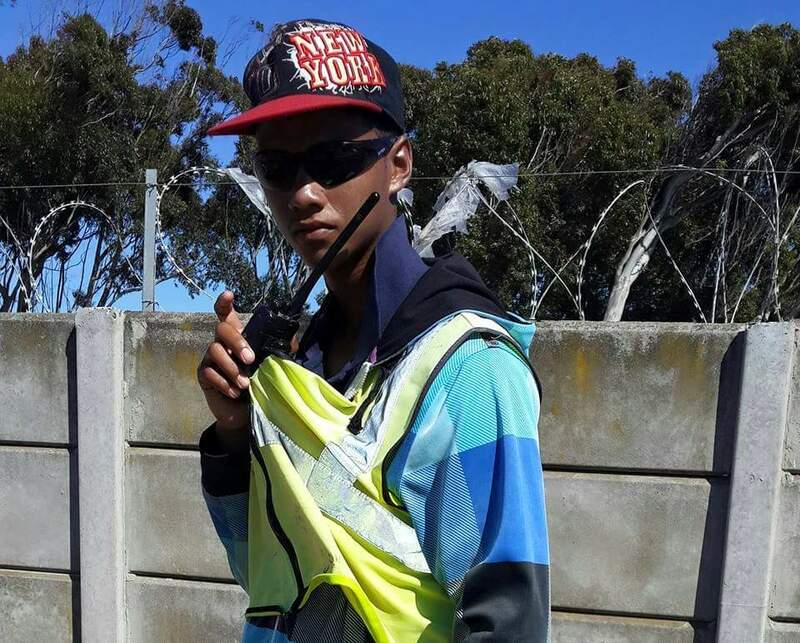 He shared that he was placed on site in Table View and later moved to another site at Potsdam. 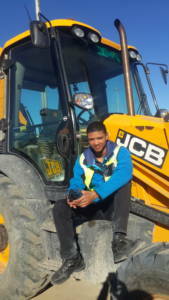 He was the only Go for Gold student on site at the time. His supervisor showed him everything on site and then any idle time was laid to rest. He was directed by his crew leader and had to dig to find ducts containing cables. He soon learned that there was a considerable difference between school and work. At work, time meant money and when his supervisor played a joke on him by hiding some tools that Lance misplaced and was responsible for, it made Lance panic but in the end it taught him accountability and that each person had a role to play in the workplace. He received lots of exposure to different management styles and functions, adding that he boldly used his Go for Gold-instilled confidence and communication skills to follow up with Martin and East about giving him a bursary, which they did. When I asked him about the Phase 2 intervention Go for Gold provided with the bridging classes in Maths and Science and Leadership Development training which included financial training, he stated that it was valuable. 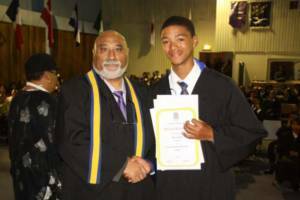 It gave him insights into tertiary maths and science subjects and taught him to make wiser decisions to prepare himself for tertiary studies. 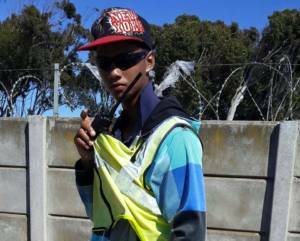 He saved his money and spent it on aspects that would enrich his Phase 3 tertiary studies, such as obtaining his driver’s licence and laptop. I was rather amused when Lance told me about his time in Phase 3. He said Phase 2 had taught him a lot about being responsible for the bursary he received. He said he deliberately put preventative measures in place to stay focused on his studies. These included not having any close friends and not staying on campus in order to avoid the temptations of going to parties. While doing his studies, during the holiday period he returned to Martin and East sites where he mentored younger Phase 2 Go for Gold students, playing the same tool-hiding prank on them to convey the valuable lessons he had learnt while in his Phase 2 year. To this day, he feels extremely loyal to Martin and East for the bursaries that aided in him qualify as a Civil Engineer today, in fact Lance said that the next chapter of working back his bursary will not entail no clock watching as he is determined to work hard. The team at Go for Gold and I are truly proud of Lance and we are excited to watch his advanced road skills develop and unfold in the future. 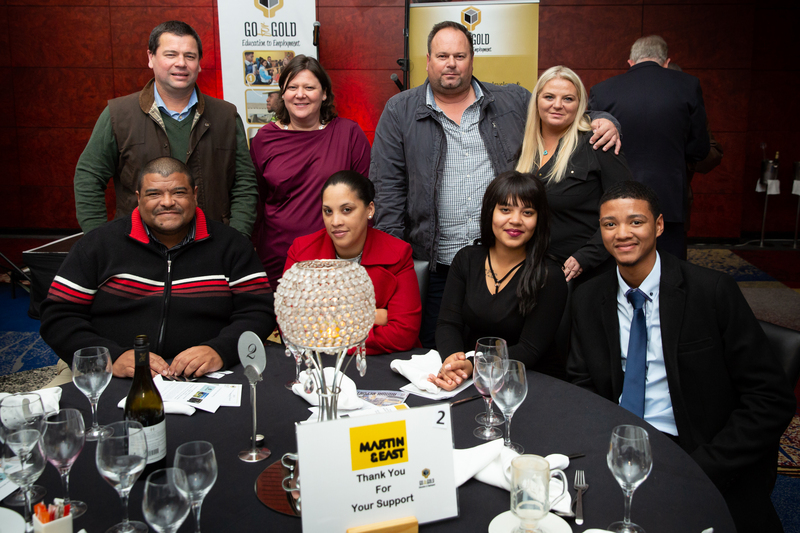 Lance (front right) at the Go for Gold Industry Fundraising Dinner. 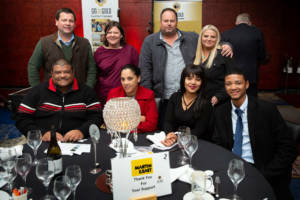 Back Row – Chris Escreet (CEO), Phillipa Escreet, Ockert Keyser, Jenal Zeeman, Row – Cornel van Sitters, Megan Adonis, Meldaine Rudolph, Lance Joseph.